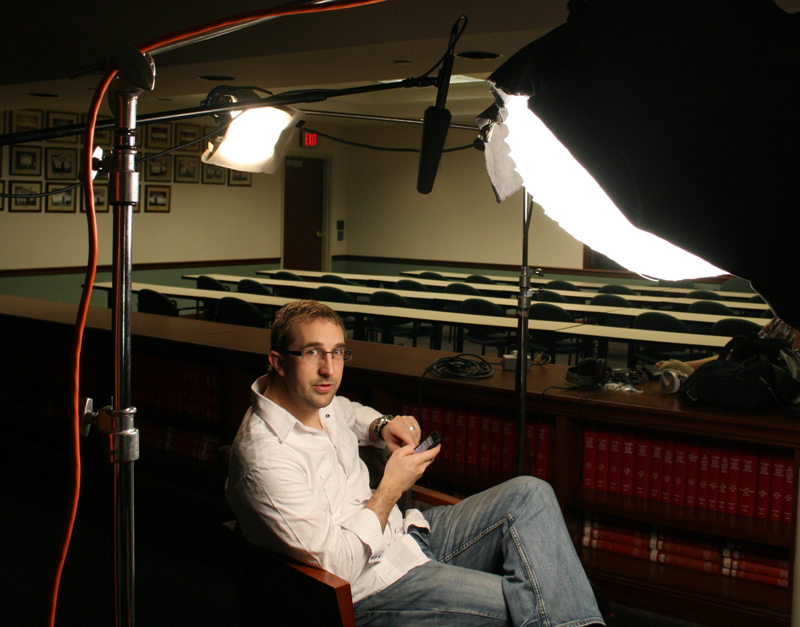 One of the mainstays of corporate video production is the interview. Also the mainstay for documentaries– they have a reputation for being on the dull side– unexciting… static. It’s not always this way. And some of the most engaging videos are full of interviews. 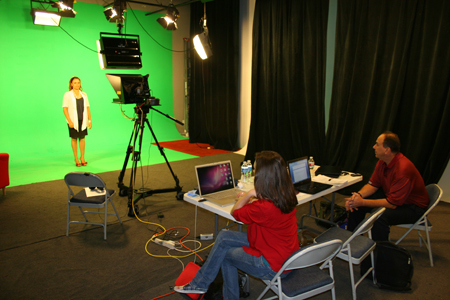 Interviews are used to help tell the story. Sometimes, they can be used as a substitute for a narrative– the pulling out of soundbites, linked together, tells the story without a script or narrator. Or sometimes, interviews are used to help accentuate the narrative. First, let’s start with the mechanics of the interview shoot. Most likely you’re interviewing a person who is not a professional actor. In the corporate world, people will have different levels of experience with being interviewed. Often, people are nervous. They want to make sure they say the right thing. Jobs have been lost for bad interviews. There can be much at stake. Set the subject at ease. Let them sit under the lights and just chat with them. Let them know that when interviewing, they need to look at the interviewer and ignore the camera. Let them know that it’s best to rephrase the question in the answer. And then try not to give them any more instruction. The temptation is to overwhelm an already nervous interviewee. Common problems that you might encounter include nervousness, umms, “so’s”, “and so forth’s,” “as I said before,” and others. See if you can ask them not to say “so” before every answer… but telling them they’re saying too many “umms” can make it worse. If it’s too heavy, you can just ask the question again. The more familiar the interviewee becomes with his answer, the fewer umms there will be. You can fix some of this in editing, but it’s always best to get it as clean as possible on the set. I prefer the interviewee to not come prepared with scripted answers. Most times, this will come across as stiff and rehearsed. I also recommend avoiding the use of a prompter. Again, people reading who aren’t professional actors come across stiff. Don’t let your subject drink a soda beforehand– they’ll be burping throughout the interview. Have some bottled water handy. In the next part, will talk about the actual production of the interview– lighting, sound, etc.